Heavy Weight – 2 Stroke Stomper Rental – Wacker-Neuson – BS 50, is available for rent in Rochester NY, Ithaca NY and the entire Western New York region from the Duke Company. 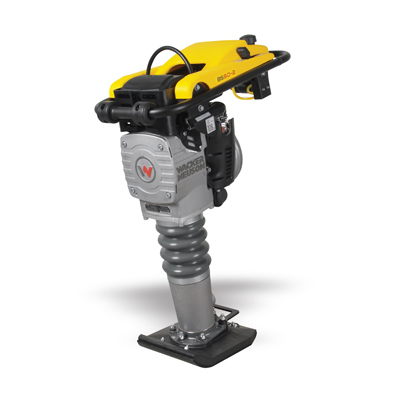 The rental Wacker Neuson BS 50-2 two-stroke rammer can be rented, is powered by a two-stroke engine and is equipped with a 10 inch shoe. Notable features include: purge bulb that removes air from the fuel line for easy starting, fuel valve and kill with integrated into the throttle lever, three-stage filtration system, handle that is engineered to reduce hand & arm vibration.